It’s been a long trip. With a 13-hour layover in Heathrow (luckily four of them in an airport hotel bed courtesy of the travel agency), I’ve been traveling for close to 38 hours. The only reason I’m still vertical is because I’m waiting for my bag. I said I’d rather bring it up myself, but the desk clerk insisted it be brought to my room. I was also told no tipping was allowed in the hotel but that I’d be given an opportunity to tip the entire staff in the morning when I checked out. Nearly half an hour later, I’m settled in and bored, watching a South African talk show where they go back and forth between English and I think Swahili in the same sentence, and everyone I see is black. The host, the guest, the studio crew, and all of the musicians—a classic soul revue led by a heavy-set woman in a tight blue satin gown and silver eyeshadow playing a huge blue Fender bass. She is proudly introduced as the host’s sister, Cyrille. There’s a knock at my door and I grab a dollar from my bureau, because there’s no way I’m going to take a bag from someone who’s just walked upstairs with it without giving him at least a dollar. So I open the door and prop it open with my left shoulder and simultaneously thank him and hand him a dollar with my left hand and reach with my right hand to take my bag off the cart as quick as I can. Off-balance and hurried, I swing the bag clumsily in the direction of my room but my shoulder slips off the door and it begins to close, pushing me forward so that I smash my bag into the door frame and lurch forward. The old man reaches behind me to push the door off my back and swing it open behind me and I look up to thank him and he’s leaning forward, bending down to bring his face close to mine and he’s smiling up at me with real joy and I’m ashamed that up until now I hadn’t even looked at him, or acknowledged him personally. they sleep, to poke the white and shifty moon. and the caves are thick with dust. with the emptiness of evening. Before dinner, Tinashe announced that since this was Africa, the men would eat first, and the women would serve them. All of the women except Rhona were shocked and offended. We all treated it as a joke, except for Rhona, who said, “Well, that’s the way it’s supposed to be.” The men explained to our hosts that it was not acceptable to Americans for women to serve the men. Tinashe said, “You know your way. Why not try ours? It is only for a fortnight. Why not at least give it a try? Then when you go home you can resume your old ways.” We ended up agreeing that the men would serve themselves first, and then we’d wait until the women finished serving themselves before starting to eat. 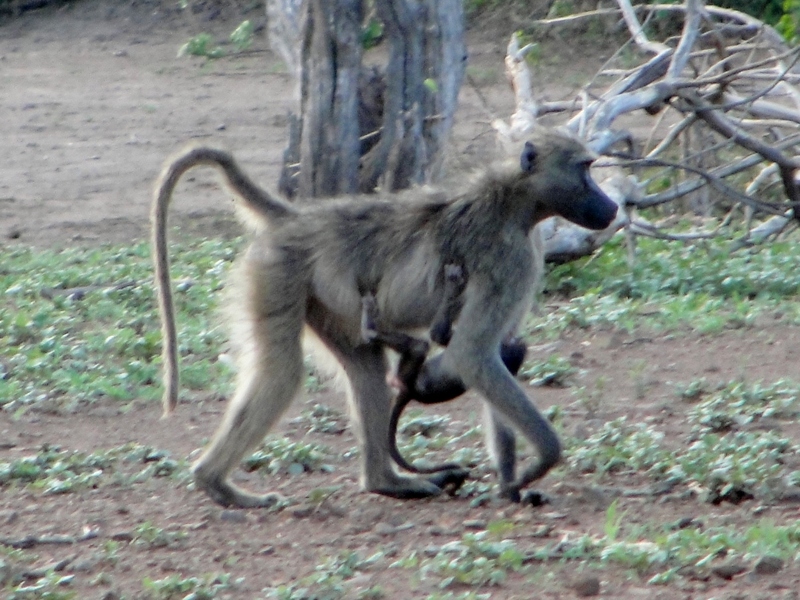 On my way back from breakfast this morning, I saw the baboon families were still busy with their morning foraging. They were sitting around a broken tree in the veldt between the path and the river. Some were wrestling, most were eating, the alpha male sat at the top of a woodpile, occasionally barking at the other baboons when they got too close to him or strayed too far away, or the kids were getting out-of-hand. I counted more than 48, at least as many as last night. 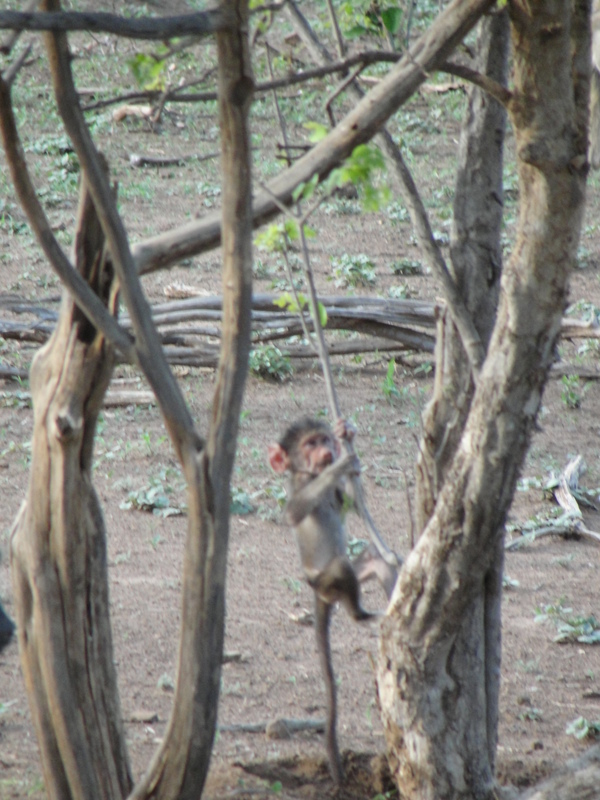 On the way to breakfast I saw them climb down from about a dozen trees into the scrub at the edge of the veldt. The males climbed down first with a lot of noise, and began staking out territory and hunting through the grass. When all the men were down, the mothers, who were smaller, most of them with babies attached to their chests, gracefully floated down, ghostly, making no noise at all. 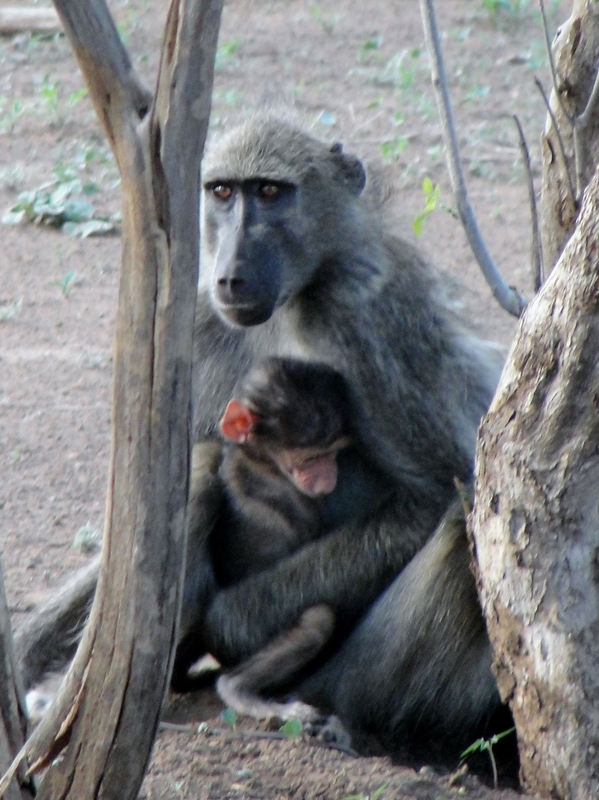 (The joints in a baboon’s finger locks, which is why babies don’t fall off no matter how fast the mothers run.) The younger mothers were still descending when the children began to jump from branch to branch, squawking and shaking the limbs. They didn’t climb down the tree like their parents—they climbed out on the lowest branches and then cried out for everyone to watch, and then they would do some fancy swing and catapult off the branch into the air, doing a somersault or a twist in the air, landing on all fours and then running off to join their comrades. I’d been warned not to leave the path for any reason. 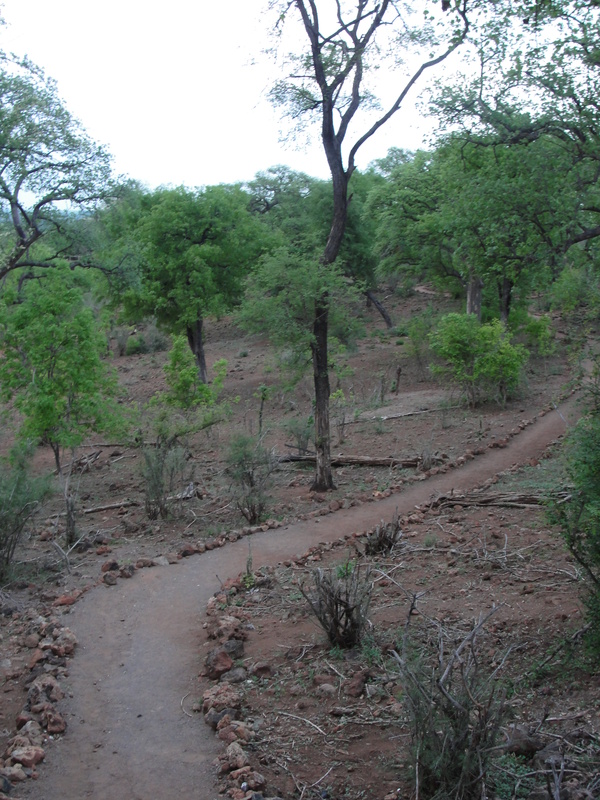 Before you get to the veldt where the impalas and baboons feed in the mornings, you have to cross the scrub, which is where the lions and leopards hide when they want to catch a baboon, one of their favorite foods. Not to mention the lightning-fast black mamba, whose venom has no known antidote, and other dangers. 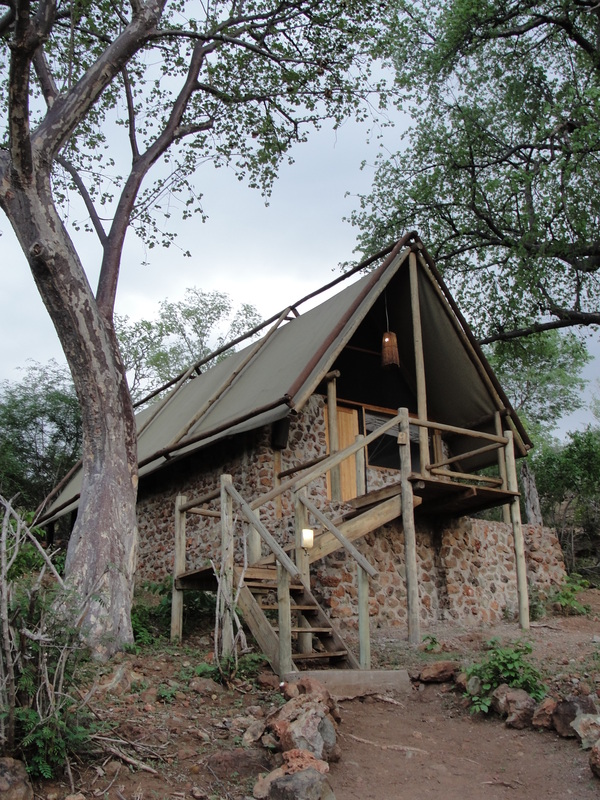 At night we can hear the lions and leopards as they walk through camp, and in the morning we can see their tracks in the dirt. But it’s rare to spot a lion or a leopard or a cheetah during the day, since they’re experts at not being seen, and are usually long gone before you get anywhere near them. A beginner like me doesn’t stand a chance in the bush. A skilled guide wouldn’t walk where I was about to go unless they had a gun and a good reason. And they wouldn’t take a handgun or a shotgun because you need the accuracy and stopping power of a rifle to drop one of the big cats before they reach you. If you don’t get a clean kill, the cat’s going to get to you before you can get off a second shot, and when he reaches you he’s going to be pretty pissed. But after breakfast there was plenty of light, and I looked pretty thoroughly and found an area where things were largely open, and I wouldn’t have to go far to get a good shot. There was one baboon I’d love to get a photo of—I noticed him last night and again this morning. One of the young males is missing his right hand and tail but seems to be doing fine, scavenging one-handed. I asked James if that would be from a predator attack and he thinks it’s from getting caught in a wire snare and having to chew his way out. So I walked ten or fifteen feet off the trail and crouched, taking a photo. But I was still too far away for a good shot, so I checked out the area on either side of me and there was nowhere to hide so I walked a good 20 or 25 feet closer, and crouched again, but I was still too far away so I walked clean out of the scrub and into the veldt and crouched and took some photos, but I was still too far away from the alpha male, so I moved even closer. 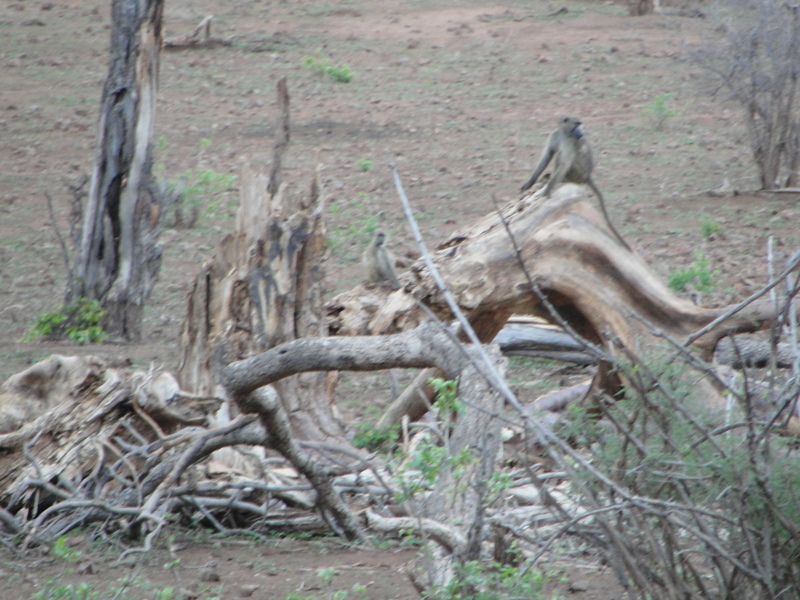 Once I cleared the scrub, though, the alpha male began squawking and most of the baboons scampered away. I realized that the closer I got, the farther away they retreated. 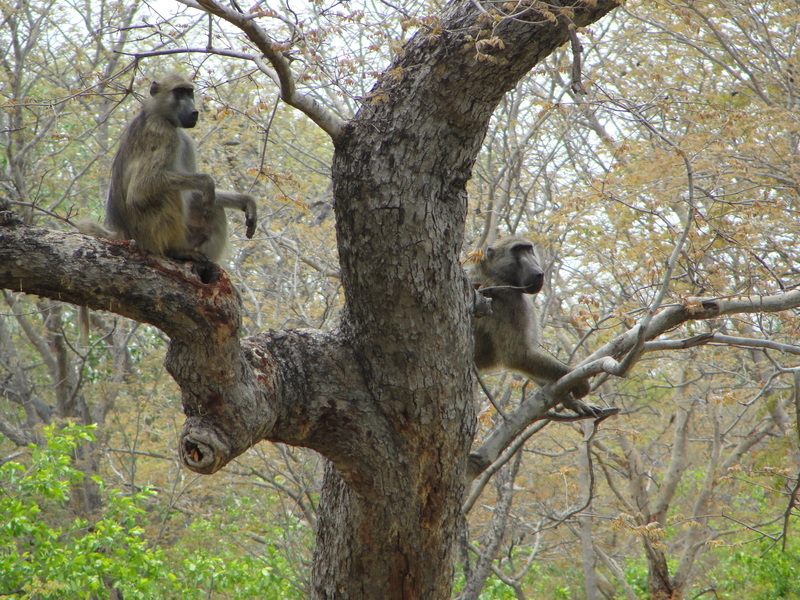 Monkeys climb trees to escape from predators, but baboons feel safer on the ground. Ever since I left the scrub I had two strong feelings—one of a force in front of me, drawing me in, pulling me, and the other one behind me, pushing me forward. I more or less stumbled forward as if going downhill, which I was more or less, not really in control. And I felt the presence of something intelligent that was slowly maneuvering itself between me and the trail, isolating me in their territory. As I left the scrub and entered the veldt, I began rehearsing what I’d do if I encountered a predator out here. You’re taught to stand up as tall as you can, and wave your arms above your head and roar, and even lean toward them, if you can. They tell you that even when a lion or leopard charges you, 80% of the time the first pass is just testing to see how easy a kill you’ll be. If you stand up to them, they’ll likely go off and find an easier lunch. But if you run you raise your chances of becoming dinner to around 100 percent. Anything that’s running looks like dinner to a lion. Just as I’m thinking about what I’d do, I hear something making a lot of aggressive noise—screeching and screaming—and coming at me through the bush. I turn around and all I can see is a long patch of flat grass, and then a slope of scrub and some kind of disturbance about twenty yards out and a little off to my right. Something is shaking the tall grass in my direction and screeching. I can’t believe how far I’ve gotten from the path—probably 50-60 yards—so far I can’t even see it. And when I get to the path, I’ve still got another 30-40 yards to get to the stairs that lead up to my cabin. I’m the last cabin from the dining hall, about a quarter mile out. No one would hear me from here even if I screamed. There was no way I could outrun an enraged baboon who wants to do me harm. I’d decided it was a baboon because I could hear the same screeching coming from behind me as soon as I turned my back to the veldt. But I could see that the baboon was being gracious. He was staying to my right, pushing me toward the path, doing all he could not to trap me. He didn’t want a fight and probably figured I would be more dangerous if I felt cornered. And I took the opening he gave me and I don’t care what the book said, I ran as fast as I could and didn’t stop until I was safe inside my cabin. Samba Toure is a Malian guitarist who backed Ali Farka Toure and began his solo career only after Ali Farka’s death. Tamikrest translates as “junction, alliance, the future.” This Tuareg band who sing in the language of Tamashek. The members of the band all come from the town of Kidal in northeast Mali and they went to school together in Tinawaten and a school founded by Europeans in the desert. , Ousmane Ag Mossa and his friend Cheick Ag Tiglia decided not to fight with weapons, but to call attention to the Tuareg’s cause with musical means. After a long independence struggle that marked their youth, troubles began again in 2006 and the members of Tamikrest decided instead of picking up guns they would start a band and make music instead. In 2010, they toured Europe together and played at several European music festivals. Amadou Bagayoko (born in Bamako October 24 1954) and Mariam Doumbia (born April 15 1958) are both guitarists and vocalists who are known as “the blind couple of Mali.” They met at Mali’s Institute for the Young Blind, and performed together at the Institute’s Eclipse Orchestra. Between 1974 and 1980, Amadou played guitar in the famous band Les Ambassadeurs du Motel de Bamako. In 1980, Amadou and Mariam married and in 1983 they began performing together. In 1986, they moved to Cote d’Ivoire and recorded several cassettes. At this time they met Stevie Wonder and with his encouragement began playing in international music festivals. In 1996, they moved to Paris and released their first album outside of Africa. One of the tracks—“Je pense a toi”—was a hit in France and sold over 100,000 copies. In 2003, Manu Chao contacted them and produced and plays on their next album, “Dimanche a Bamako,” which that year won the French “Victoire de la Musique” Prize for best World Music album of the year, as well as two BBC Radio 3 Awards for World Music in the African and Best Album categories. In 2006, they recorded the official anthem for the 2006 FIFA World Cup (“Celebrate the Day”), which topped the German music charts in June 2006. They have played Coachella and Lollapalooza and Africa Express. They then supported the Scissors Sisters on their UK tour including three nights at London’s O2 Arena and have appeared with David Gilmour and Beth Orton on guitar. They have also appeared at the main stage of Glastonbury Festival, the iTunes Festival and Late Night with Jimmy Fallon, supported Blur during their reunion tour and Coldplay during their Viva la Vida tour, and in 2010 appeared on FIFA’s Kick-Off Celebration for 2010’s World Cup, and were chosen by Matt Groening to perform at the edition of the All Tomorrow’s Parties festival he curated in May 2010. In 2011, they supported U2 during their tour of southern Africa on their U2 360 tour. Their current album—“Folila”—includes members of TV on the Radio and Scissor Sisters and Santigold. For over a decade, they have been involved in many international charities—including the World Food Bank, efforts to aid humanitarian efforts in the Congo, and relief efforts in Haiti. “Tartit” means “union.” The group includes five women and four men, all of whom are Tuareg who met in a refugee camp in Burkina Faso. They first performed together in 1995, released their first album in 1997, and toured Europe in 1998 and North America in 2010 and appeared at the WOMAD Festival in Seattle and the Desert Music Festival. They are also involved in charity work, including a United Nation association for preserving Malian music and culture, in addition to building schools for children and creating economic opportunities for women. Bassekou Kouyate was born in 1966 in Garana, Mali. His father was a ngoni player and his mother was a praise singer. He began playing the ngoni (an African lute) at the age of 12 and then moved to Bamako in the 1980s. He formed his band—Ngoni Ba—and released his first album in 2007, “Segu Blue.” He has recorded with Toumani Diabate and has toured with Bela Fleck. His wife, Ami Sacko, also plays in his band. Lobi Traore (1961-2010) was born in the village of Bakaridianna on the Niger River. His first album was produced by Ali Farka Toure in 1994. Terakaft (“caravan”) was formed in 2001 by two founding members of Tinariwen and now contains three former members who also continue to record and perform with Tinariwen. They recorded their first album and went on their first Europen tour in 2007. Djelimady Tounkara was born in Kita, west of Bamako. His family was filled with musicians, griots, and historians. He began playing a djembe and the ngoni. He moved to Bamako in the 1960s to be a tailor. He then began playing a guitar in the band Orchestre Misira and he was selected to join the Orchestre National as a rhythm guitarists. He continues to traditional weddings and baptisms as well performing in the acoustic trio called Bajourou along with singer Lafia Diabate, who was a member of the Rail Band. In 2001, he won BBC Radio 3’s World Music award. In 1980, Libyan ruler Muammar al-Gaddafi invited all Tuareg men in Libya to receive full military training. Ag Alhabib and his bandmates received nine months of training and returned to Libya in 1985 with leaders of the Tuareg rebel movement where he met the musicians who would become Tinariwen. They built a makeshift studio and recorded music for free for anyone who supplied a blank cassette tape. These homemade cassettes were traded throughout the whole Sahara region. In 1989, the members of Tinariwen left Libya and Ag Alhabib moved back to his home village of Tessalit for the first time in 26 years. In 1990, the Tuareg rebels—including several members of Tinariwen—rose up against the government of Mali, until a peace agreement reached in January 1991. At that time the members of the band left the rebel forces and returned to music. In 1992 the band went to the Ivory Coast to make a professional recording. In 1998, they were discovered by musician and producer Lo’Jo, and in 1999 some members went to travel to France and performed with Lo’Jo under the name Azawad. They went on to headline the 2001 Festival of the Desert, and then performed at WOMAD and Roskilde. Their debut CD “The Radio Tisdas Sessions” was recorded by Justin Adams and released in 2001. In 2005 they received a BBC Award for World Music and in 2008 they received Germany’s Praetorius Music Prize. In 2009 they recorded “Imidiwan” in a mobile studio in the village of Tessalit, Mali. They have performed at All Tomorrow’s Parties and toured the US. Members of the band appeared with TV on the Radio on the Colbert Report in 2011. Toumani Diabete was born into a family of 71 generations of kora players on August 10, 1965. His father—Sidiki Diabate—recorded the first kora album in 1970. His cousin Sona Jobarteh is the first female kora player to come from a Griot family. Toumani released his first album in 1988. He has also performed with the flamenco group Ketama, and with Taj Mahal, Ali Farka Toure, Roswell Rudd, and appears on Bjork’s 2007 album “Volta.” In 2006 he released his first album with the Symmetric Orchestra, featuring kora players from throughout western Africa. Toumani appeared that year at the WOMAD Festival, the Roskilde Festival, and the Glastonbury Festival. In 2008 a song of his which is sung in Arabic was removed from a PlayStation 3 video game because of Islamic complaints that the lyrics contained verses from the Koran. In 2010, Toumani was chosen by Matt Groening to perform at his All Tomorrow’s Parties and other festivals in England. Taj Mahal was born Henry Saint Clair Fredericks on May 17, 1942 in Harlem, New York. His mother was a member of a gospel choir, and his father was a West Indian jazz arranger and piano player. 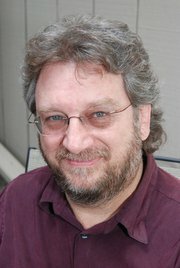 He heard world music as a young boy on a shortwave radio. His father developed an interest in African music which Taj began studying along with taking lessons on piano, clarinet, trombone, and harmonica. His father died in an accident when Taj was eleven, and his stepfather played guitar and Taj began taking lessons when he was thirteen. In 1964 he formed the first interracial bands, the Rising Sons, with Ry Cooder and Jessie Lee Kincaid. He was recorded with international musicians such as The Chieftains, Ali Farka Toure, and Fela Kuti, but it is his recordings with Toumani Diabate that he believes “embodies his musical and cultural spirit arriving full circle.” At that point he even changed his name to Dadi Kouyate. Trilok Gurtu is an Indian percussionist who was born in Mumbai on October 30 1951. The Frikyiwa is a Malian band that includes guitars and other African stringed instruments, vocals, and additional percussion. Recorded in southern Mali in the village of Farakala, song contains south-Malian percussive styles with the rhythmic influences of Trilok’s Indian heritage. Issa is a Malian n’goni player born in 1961. This is the original version of a song that appeared earlier in this series. Oumou Sangare was born on February 25, 1968 in Bamako, Mali and is a Wassoulou singer. Her mother is singer Aminata Diakite. Since the age of five she sang to help support her family after her father abandoned them. At 16 she toured with the percussion group Djoliba. As a solo performer she has appeared at the Melbourne Opera, the Roskilde festival, and the festival d’Essaouira. She won the UNESCO Prize in 2001 and became a commander of the Arts and Letters of the Republic of France in 1998. She is featured in the documentary “Throw Down your Heart,” a documentary featuring Bela Fleck’s exploration of the relationship of his banjo to its African forebears. She is an advocate for women’s rights, opposing child marriage and polygamy. She is also a businesswoman who owns hotels, farms, and car dealerships. Her name is even on a Chinese automobile.